Several photographs from the William H. Sumner Collection at the University of North Carolina at Charlotte are now available on DigitalNC. This is a great selection of photos from Charlotte and other parts of North Carolina in the 1940s. 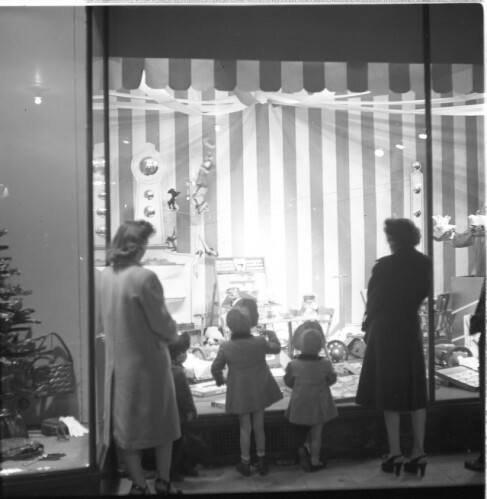 My favorite, shown here, is this shot of a family admiring a decorated window at the Belk store in Charlotte in 1946. Student yearbooks from Duke University are now accessible through DigitalNC. Browse editions of The Chanticleer from 1912 through 1995 in the North Carolina College and University Yearbooks collection. The image shown here is from the 1969 volume. The variety of materials available on DigitalNC continues to grow: we’ve just added the first license plate. This plate, from the Digital Davie collection, was issued in Mocksville in 1930. They had a pretty straightforward way of assigning numbers in those days. The plate bears the number “126” because it was the 126th car registered in the town. I wonder how many they’re up to today. Digital Davie materials are shared online by the Davie County Public Library. The North Carolina Digital Heritage Center has now digitized over 1,000 yearbooks. Fourteen different colleges and universities have participated in the program to date, and many more are scheduled to participate over the next year. The yearbooks on the North Carolina College and University Yearbooks collection range in date from 1890 (UNC-Chapel Hill) to 2009 (Elon University, Campbell University, and Meredith College). Whether you’re researching family history, looking up old sports teams, or reliving your college years, the online yearbook collection is a great place to spend some time. 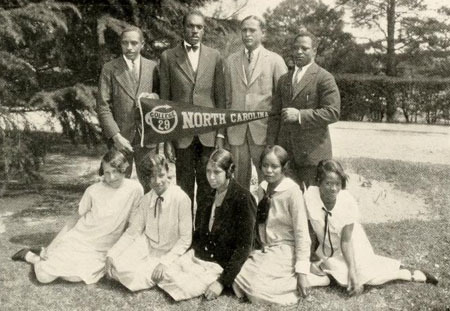 Student yearbooks from North Carolina Central University are now available on DigitalNC. The yearbooks, from the James E. Shepard Memorial Library, cover over a half-century of the school’s history, from 1939 to the present, with one early volume from 1929 also available. 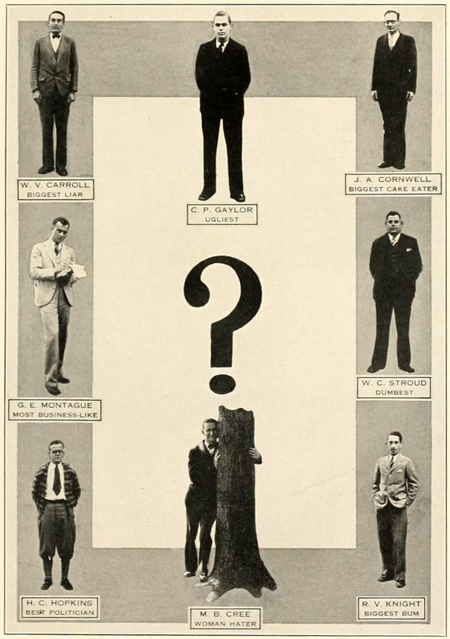 The image displayed here shows the yearbook staff from 1929. This great photo, taken around 1940, is from the Digital Davie collection. It’s the expression on the kid’s face that really caught my eye in this one. 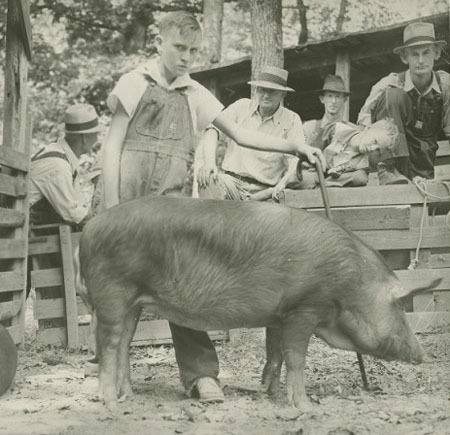 Given that his hog had just won the top prize, wouldn’t you think he’d look a little happier? Digital Davie presents materials from our partner, Davie County Public Library.